The Financial Impact of the CMS Study is Huge. Is Your Call Center Ready? A five-star rating could equal millions of dollars in bonus payments. We invite you to download our Guide to the 2019 CMS Call Center Monitoring Study to better understand CMS requirements and their impact on your organization. 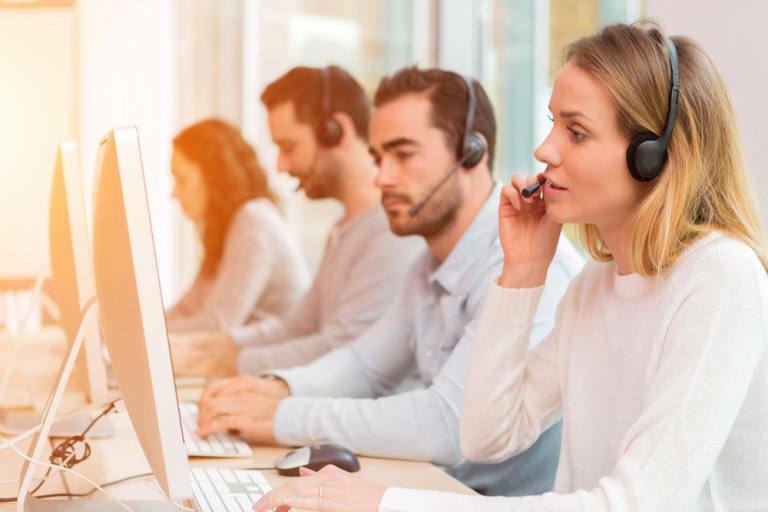 The 2019 Call Center Monitoring Study, which is conducted by the Centers for Medicare and Medicaid Services (CMS), will launch in a few weeks. The impact of this process is profound. Is your call center ready? CMS carries out this study every year beginning in February. The study impacts quality ratings for Medicare Part C and D plans. Based on their assessment and other factors, contact centers will be awarded a rating of 1 to 5 stars. This rating has a direct impact on how much money plans are reimbursed by Medicare and impacts a plan’s ability to attract and retain members.A 5-star rating is coveted, as it can mean millions of dollars in Quality Bonus Payments (QBPs) to a large healthcare organization. According to one study, these QBPs can amount to an extra five percent per member annually. Star assignments are based on a formula examining a series of indicators, including the Accuracy and Accessibility Study. CMS conducts the study between February and June, with auditors placing calls to prospective enrollee contact centers to evaluate performance in assisting Limited English Proficient (LEP) callers. Approximately eight percent of all Medicare and Medicaid beneficiaries are not proficient in English. The study measures the accessibility of an interpreter, as well as the accuracy of information provided by plan customer service agents. When testing call centers for accuracy and access for the LEP population, the CMS callers will be confirming that LEP members receive accurate information in a timely manner (i.e., no more than eight minutes from the time a customer service agent picks up the phone until the introductory question is answered), and no more than seven minutes for each of the three additional questions. Most plans strive to earn a grade of 90 percent or above, which converts to a 4- or 5-star rating and earn the plans additional bonus payment from CMS. We invite you to download the LanguageLine’s Guide to the CMS Call Center Monitoring Study: 2019 Edition.